Woodbury City Attorney Dale Peterson is set to resign his position and be disbarred for up to five years after pleading guilty to stealing more than $20,000 from Riverside Center while overseeing TennCare patient accounts, according to officials. Peterson entered a plea to theft over $1,000 before Circuit Court Judge David Bragg last Thursday in Woodbury and is set to lose his law license and pay restitution for the illicitly obtained funds, Assistant District Attorney Trevor Lynch said. "He acknowledged what he did," Lynch said. Peterson's case will be retired for two years, and after five years the Board of Professional Responsibility will determine whether he should be able to practice law, according to Lynch. Woodbury Mayor Harold Patrick confirmed that Peterson said he will resign his position as city attorney. Patrick said he expects Peterson to submit his resignation this week and that he will recommend a replacement to the City Council at its Dec. 5 meeting. "He's in deep trouble as far as his license goes," Patrick said. In addition to serving as city attorney, Peterson represented Riverside Center, a part of Stones River Hospital that serves psychiatric patients. He provided services such as filing documents and paying fees to the Cannon County Clerk's office. But last July the Tennessee Bureau of Investigation was notified and began checking into Peterson's activities and found out that from March 2012 to July 2014, he quit filing those documents with the Cannon County Clerk and kept the filing fees. The case was initiated under former District Attorney General Bill Whitesell. "He got behind, way, way behind," Lynch said. Peterson admitted the theft, cooperated with TBI agents and helped return files to the clerk's office, according to reports. He started paying back the money, Lynch said. 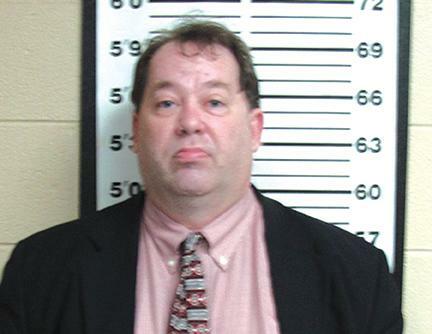 After making the plea, Peterson reportedly was booked at the Cannon County Sheriff's Department. Mayor Patrick said he wasn't certain if Peterson would be disbarred immediately or if he would be allowed to finish working on three incomplete cases. But he said he would rather have Peterson resign and then replace him. Peterson ran for General Sessions judge in Woodbury last summer against Judge Susan Melton but stopped pursuing election toward the end of the campaign. Ever one makes mistakes,whats that about casting the first stone.